Gunslick offers AR-15 owners a specialized cleaning kit. Headlining this offering is a Ultra-Klenz and Ultra-Lube. The Pro-Pak kit also includes a full line of cleaning accessories, a stainless steel rod and the special AR-15 bronze and steel brush that cleans the chamber and rifled barrel. Also includes a bronze barrel brush. 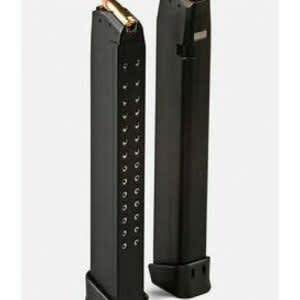 In the gun care industry – among gunsmiths, firearm technicians and shooters – Gunslick has earned a sterling reputation for providing precision products that serve the active shooter. Third party testing shows Gunslick products exceed the performance of their competition in both corrosion protection and wear reduction. These test also demonstrate Gunslick’s unwavering dedication to producing technologically advanced gun care products for today’s shooters. This season, let Gunslick Pro do the work for you. Select a product and see how Gunslick hasn’t sacrificed the ability to perform when simplifying the process. 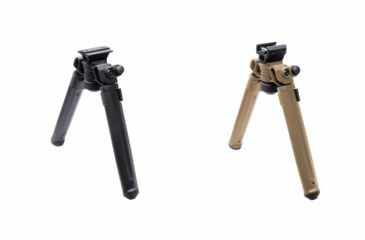 he Magpul Bipod offers serious strength and versatility at a price that provides unmatched value. Rich with important features, our lightweight Mil-spec hard anodized 6061 T-6 aluminum and injection-molded polymer bipod brings innovation in ergonomics, functionality, strength and value together. An aesthetically pleasing, low-profile design conceals its mechanisms and hardware, smoothly brushing off snags and bumps. Optimized for rapid one-handed adjustments, the bipod quickly and quietly transitions between countless user configurations. The Magpul Bipod includes many features normally found on bipods at a significantly higher cost.